Who: Niall Alexander, the man behind excellent blog The Speculative Scotsman and a contributor to Tor.com, Strange Horizons and Starburst Magazine. Please give it up for Niall! Oh my lord, I’m only on Smugglivus! Forgive my fannish flapping, but it’s such a HUGE honour to have been asked to take part in The Book Smugglers’ epic celebrations this year that I couldn’t very well begin this thing without a word or two of thanks. So thank you Ana, thank you Thea – and for more than thinking to invite me along for the ride in these last wintry weeks of 2011… though that was certainly pretty swell of you. Thanks also for all the work you’ve done to keep The Book Smugglers in pride of place at the top of my RSS feed-eater. Thanks for all the books I would have missed if it hadn’t been for you lovely ladies recommending them, or not, with such honesty, such warmth, and such clarity. 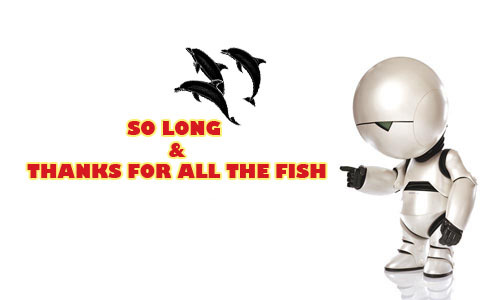 Thanks, from the bottom of my heart – and I hope you’ll all join me in saying this – thanks to Ana and Thea for all the fish. I write reviews and other such stuff for Tor.com, Strange Horizons and Starburst Magazine, and when none of those sites can stand the sight of me, which is to say most days, I blog as The Speculative Scotsman. That’s because I’m Scottish, and I have a passion for all things speculative fiction… which is to say sci-fi and fantasy, yes, but also YA, horror, alt-history, and other assorted weird tales, whether they be told in books or movies, graphic novels or video games. My tastes are many and various, and I like to think I don’t discriminate. In honour of it being the twelfth day of the twelfth month – happy Monday everyone! – I thought the thing to do would be to talk about twelve books due to be published in the year 2012. Twelve books I’m anticipating above all the others that have occurred to me while considering what to contribute to Smugglivus. I’m not going to do them the indignity of listing them in order of how great they’ll be, since we won’t know that till we can hold them in our hands, nor am I about to run through them according to some arbitrary scale of how very much I’m looking forward them, because that arrangement changes more often than my mood… and I’m a bit of a moody bloke at the best of times. For me, the year 2011 began with Joe Abercrombie, whose best yet came out in January – to much ado about something, for once. Now, all signs point to the likelihood of the year 2012 ending, for this hard fantasy fan and no doubt many, many others, with – yes! – more Joe Abercrombie. Pretty much everyone who read it, right? And a lot of folks read it. Now then: wave your hands in the air (like you just don’t care) if you enjoyed The Angel’s Game, too. To say The Angel’s Game was a disappointment in the eyes of the masses is I think to understate the case against Carlos Ruiz Zafon’s second novel not for children. But you know what? I really rather enjoyed it. And though they’ve been a bit on the anaemic side, there have been moments in The Prince of Mist and to a lesser extent The Midnight Palace which brought to mind the high points of The Shadow of the Wind too. 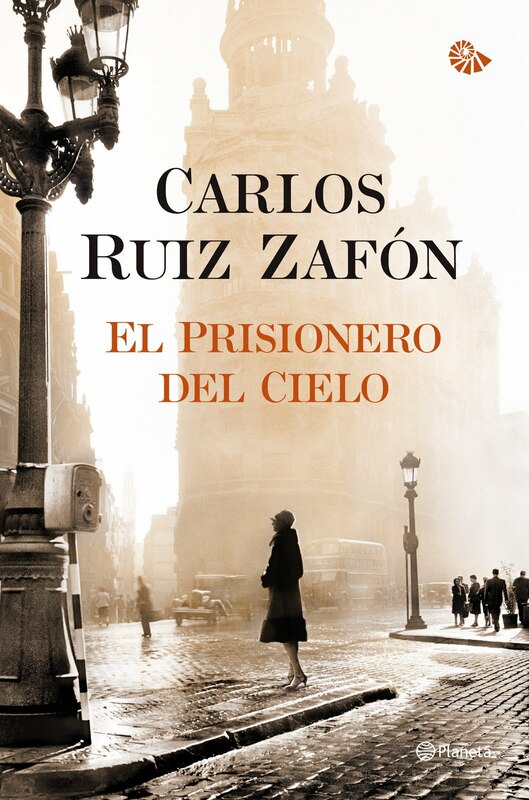 The Prisoner of Heaven only came out in Spain last month, but the translation seems to have been fast-tracked, and for that, words cannot describe how thankful I am, because it appears to be a direct continuation of Zafon’s most masterful narrative. Needless to say I can hardly wait for The Prisoner of Heaven to hit next summer. As she often insists, Caitlin R. Kiernan does not write horror novels. Surely a better descriptor for her fiction would be dark fantasy… though she seemed equally at home in The Weird anthology Corvus put out in the UK last month. 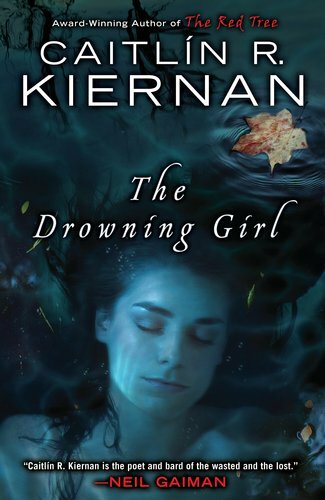 In any case, I’ve been reading Kiernan’s novels and short stories since Silk, way back when, and though I’ve had experiences both good and bad with her work in the 14 subsequent years, The Drowning Girl may mark a very meaningful moment in her career, whether as the last novel of its particular oeuvre to come from Kiernan’s inimitable imagination, or as the first flush of some new genus of genius. I’m excited, and not a little nervous, to see this from her in March, not to speak of what’s next. This will come as a surprise to my regular readers, but Dreamblood is absolutely among the books set for publication in 2012 I’m most anticipating. If it’s anything like The Hundred Thousand Kingdoms, expect a hybrid of high fantasy and paranormal romance with mild moralistic overtones. 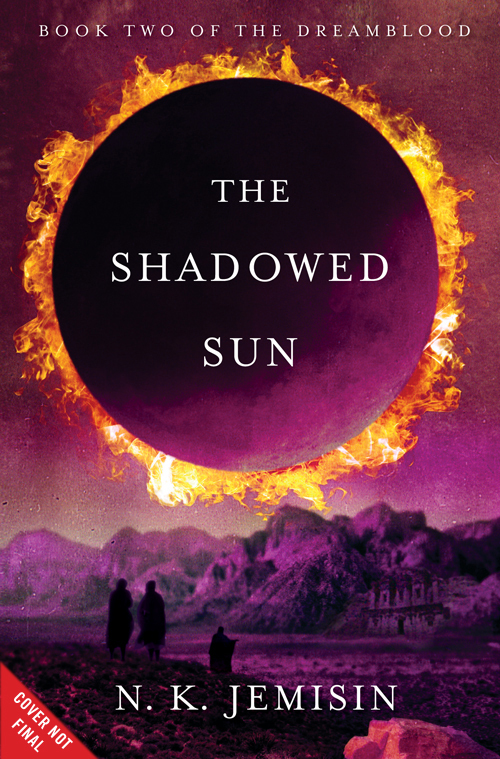 N. K. Jemisin isn’t for everyone – in fact her work is a ways away from what I consider my blogging ballpark – but on the strength of her debut trilogy, which only just concluded with The Kingdom of Gods, on balance it’s probably safe to say she’s for me. The better to explain the whys and wherefores of which opinion, I’ll be posting spoileriffic reviews of all three volumes of The Hundred Thousand Kingdoms on The Speculative Scotsman over the holidays. 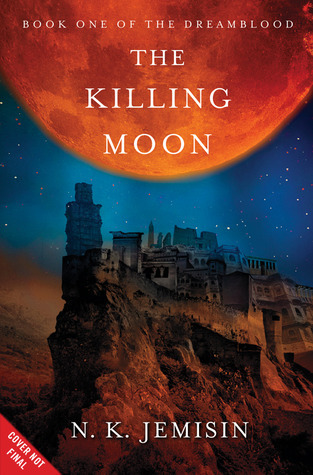 Not only, but also: know that I’m cheating a little here, because Dreamblood is actually a duology, composed of The Killing Moon, coming from your friends and mine at Orbit in May, and The Shadowed Sun, due in June. Buy one, get one free! Or something. Circus stories seem to be all the rage these days. It just so happens that the vast majority of the books borne of this recent trend – from The Night Circus by Erin Morgenstern to Genevieve Valentine’s Mechanique: A Tale of the Circus Tresaulti – have been absolutely fabulous. Next on this tremendous agenda, then, in February: from the author of the spectacularly dark Mr Shivers, and this year’s The Company Man, The Troupe. I expect no less than the best from it. 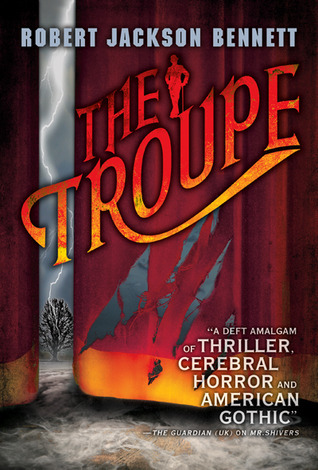 I’m bending the truth again, because The Troupe isn’t exactly a circus story; it’s the tall tale of a particularly gifted musician who joins a troupe touring the Vaudeville circuit. But honestly, any excuse to talk about the circus, even so briefly, will suffice. And never mind my weakness for big tops and snarling tigers: Robert Jackson Bennett is an excellent author and I have high, high hopes for his latest. 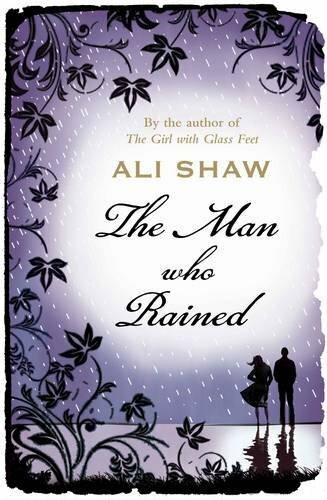 Also coming soon, if not soon enough, the second novel by Ali Shaw, who so memorably rendered The Girl With The Glass Feet just before I started blogging. Seriously, if you haven’t read that novel – if The Man Who Rained isn’t yet on your radar – in the nicest possible way, let me just say: get to it! Is there an author more criminally overlooked by fantasy fans than K. J. Parker? I think not. Simply because the fantasy tropes in Parker’s fiction are rarely placed front and centre, his or her work – and this sort of gender confusion is par for the course whenever one talks about K. J. Parker, for he/she is a most mysterious figure – his or her work is often either ignored or utterly misunderstood. In 2010 I read The Folding Knife, a novel ostensibly about economics, and since then… well, I haven’t looked back. Indeed, over on the blog last week, in my annual greatest hits thing, Top of the Scots, I listed The Hammer as one of my favourite novels of 2011. 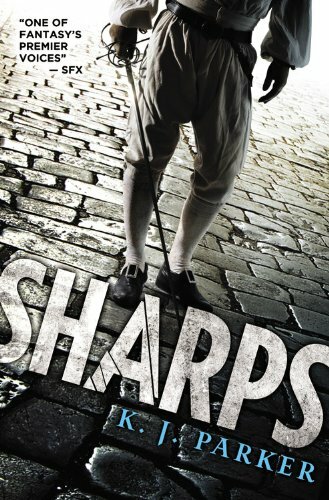 Simply put, K. J. Parker is one of the most powerful, not to mention intelligent authors writing in the genre today, and there’s not a shadow of a doubt in my mind that Sharps, due in July, will be brilliant. Now I’m not even sure that this is official yet, but the grapevine has it that Dr. Sleep will be 2012’s big Stephen King novel. Never mind The Dark Tower 4.5 or whatever it’s actually called – King himself dismisses The Wind Through the Keyhole as a bit of fun… side-story shenanigans for April fools – come next November it’s Dr. Sleep that we’ll all be talking about. And what is Dr. Sleep? Why, it’s only the sequel to The Shining! I still can’t quite believe it exists, but King has read excerpts from at various events this past year, and I suppose he has been talking about it for… oh, three or four decades or so? So it’s on. Wikipedia says the first draft is finished and everything. It could be terrific – fingers firmly crossed that it is, and this last little while has been something of a renaissance period for the author, so there’s real reason to be optimistic – but you don’t mess with something as awesome as The Shining lightly, and there’s every chance Dr. Sleep could ruin that classic for us old folks with fond memories forever. 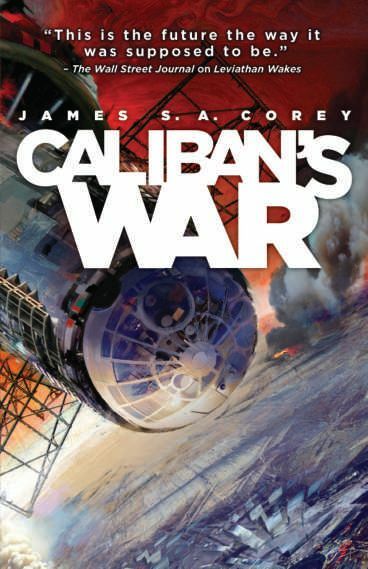 Actually anything the great Daniel Abraham has a hand in writing this coming year, but specifically Caliban’s War, the sequel to Leviathan Wakes, which – co-written with Ty Franck – was one of the very best science fiction novels of 2011, and certainly the one I had the most fun with. Of course there’s The King’s Blood too, which is to say part two of The Dagger and the Coin, what got off to such a great start thanks to The Dragon’s Path… and no doubt there’ll be another urban fantasy to come from Abraham’s pseudonym MLN Hanover, but pay no heed to how prolific this fella is; I don’t know that there’s a more consistent genre author out there today. New Catherynne M. Valente is invariably a treat. She’s a rather acquired taste, make no mistake, but between her lovely, lustrous language and her perfectly poised plots she’s won me over and over and over again. You’ll probably either love her work or be baffled as to why anyone would, but hear this: you owe it to yourselves to at least try. In truth, The Girl Who Fell Beneath Fairyland and Led the Revels There isn’t exactly the best place for you to begin reading Catherynne M. Valente, if you find yourselves inclined to, because this is of course the sequel to The Girl Who Circumnavigated Fairyland in a Ship of Her Own Making, which was available to read for free online for the longest time… and should be still if the internet is still the internet, which I do believe it is, and if not, why didn’t anyone think to tell me, damn it? Otherwise this year saw the publication of a beautiful illustrated edition of the first Fairyland book, and it is the perfect thing to help get you started. Here’s another book I know next to nothing about besides the fact that it’s coming. I gather that it’s a sequel to The Reapers Are The Angels. And given that The Reapers Are The Angels is the best zombie novel I’ve read this century – no kidding – I expect Somewhere I Have Never Travelled to be breathtaking, and have the undead in it. That is all. Last but not least – really very far from least, if I’m honest – Railsea. 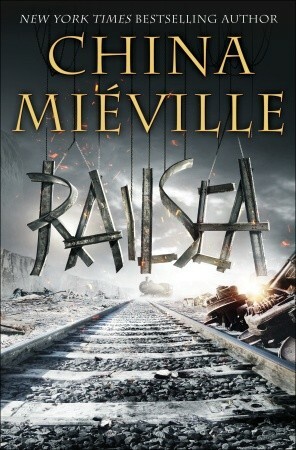 If it weren’t for China Mieville, I wouldn’t be blogging. I wonder sometimes if I’d even be reading as I do these days, had I not been inexorably drawn to The Scar whilst at an event in a bookshop in Glasgow, now sadly shuttered like all the best bookshops around these here parts. In any event The Scar ignited in me an attraction to The Weird, as it were, that shows no signs of guttering now, near-enough a decade later. Wonderfully, Mieville’s work since The Scar has gone from curious to curiouser, taking in crime fiction, YA, urban fantasy and hard science-fiction. Early signs suggest the excruciatingly handsome author’s fourth novel in so many years is another one for younger readers – in the same vein as Un Lun Dun, but not the same series. Taken together the cover art and the title call back to both The Scar and Iron Council, sadly the last of the Bas-Lag books… as yet. And there we have it! Twelve novels to look forward to reading in 2012, on this, the twelfth day of the twelfth month. If I’ve managed to alerted you to the existence of a book or two (or twelve!) that you fall for over the course of the next year, my work here is done – and thanks again to Ana and Thea for allowing me the opportunity to talk to you all. It’s been lots of fun. Which isn’t to say it’s been comprehensive. What with the timing, twelve is a neat number, but I don’t doubt that there another twelve books – perhaps another twelve twelve times over – to get good and excited about. So what do you folks think I’m missing? I’m also looking forward to Jemisin’s new trilogy. I’ve pretty much been hooked on her work since reading a short story last year, and to find out she was working on something beyond her debut trilogy made me a very happy person. I hadn’t heard of a number of these books before. I have never heard of The Girl With The Glass Feet before and I am very interested in it. I shall have to acquire and read it.